Rider 15 comes with built in GNSS receiver for improved accuracy plus all new Heading feature along with 16 battery hours, smart notifications and supports up to 30 functions. 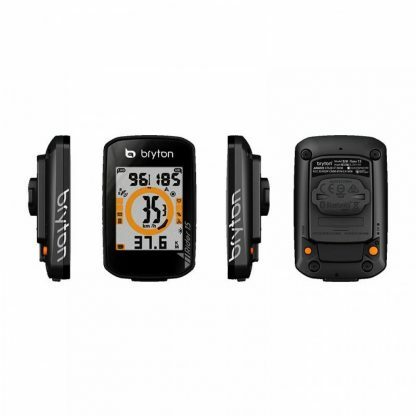 Power On and Go with button behavior consistent with traditional bike computers and the ease and convenience of tracking workouts and sharing via Bryton app, like that of other training apps. Rider 15 is The Best of Both Worlds. Bryton’s first GPS cycling computer with GNSS full support incorporates GPS, Glonass (Russia), BDS (China), Galileo (Europe) and QZSS (Japan) satellite systems, providing a much more reliable satellite coverage in any situation especially when there are buildings/trees or even while mountain biking, along with faster start-up. 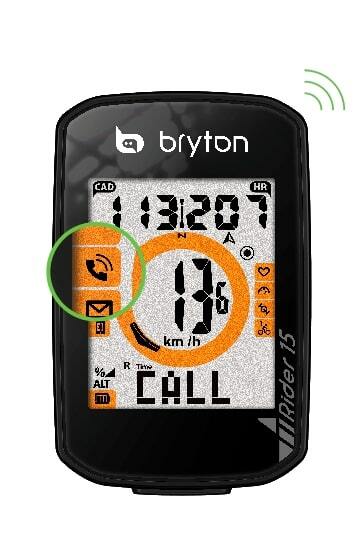 2 Heading modes available, the Compass Mode for pointing to the North and the Map Mode for pointing to current direction. 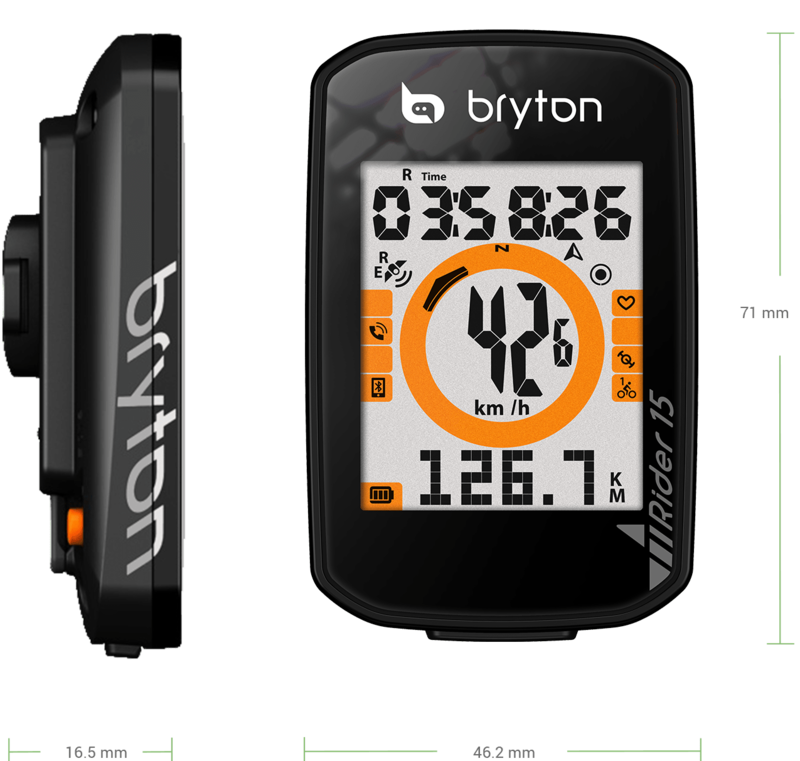 With all new display design, Rider 15 displays up to 4 cycling data per page (3 customizable data + Heading) with 5 pages total, allowing cyclists to have their current workout status well in hand. No need to adjust wheel size or bother with installation and pairing with speed sensors. 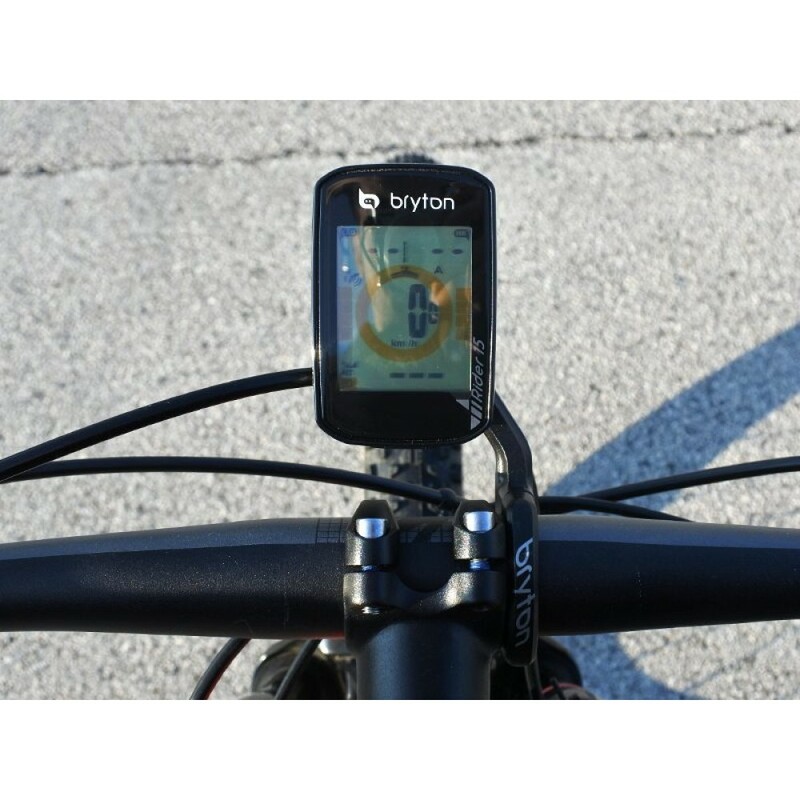 Just mount the device on the handle bar, turn it on and you are good to go. Rider 15 provides a long battery life, enough for workouts with up to 16 hours. It also supports mobile power bank, allowing you to charge while recording. 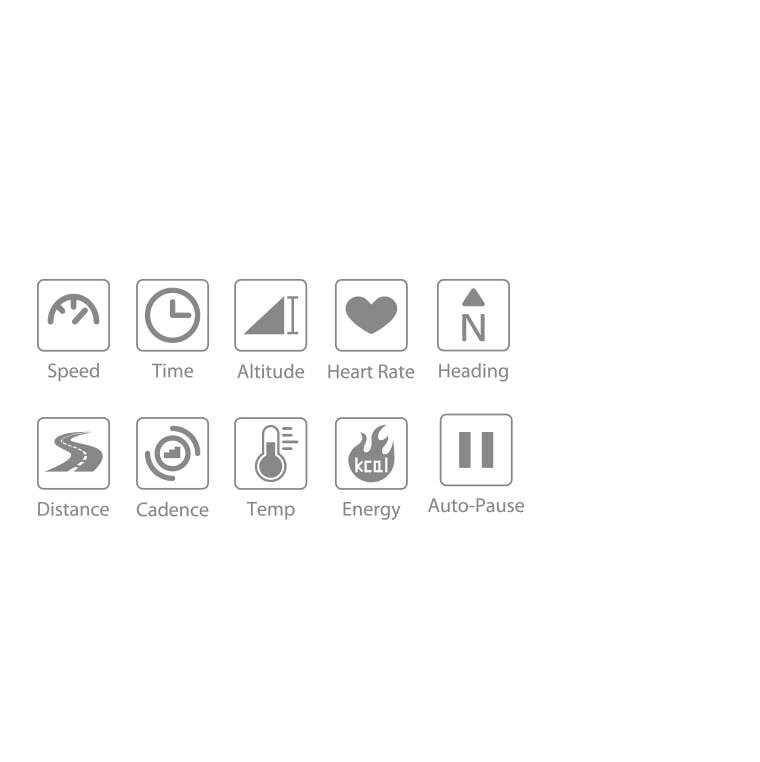 Rider 15 supports fully customizable data pages with 30 real time data functions, including Time, Speed, Distance, Heading, Calorie, Cadence, Altitude, HR and LTHR, allowing you to be always on top of your workouts. 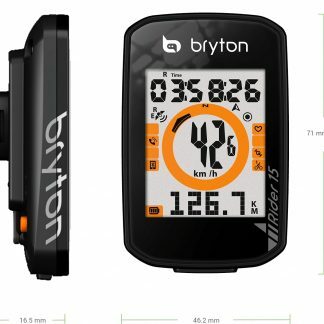 Rider 15 receives smart notifications, which includes email, call, and text during workouts after pairing with Bryton App via BLE. 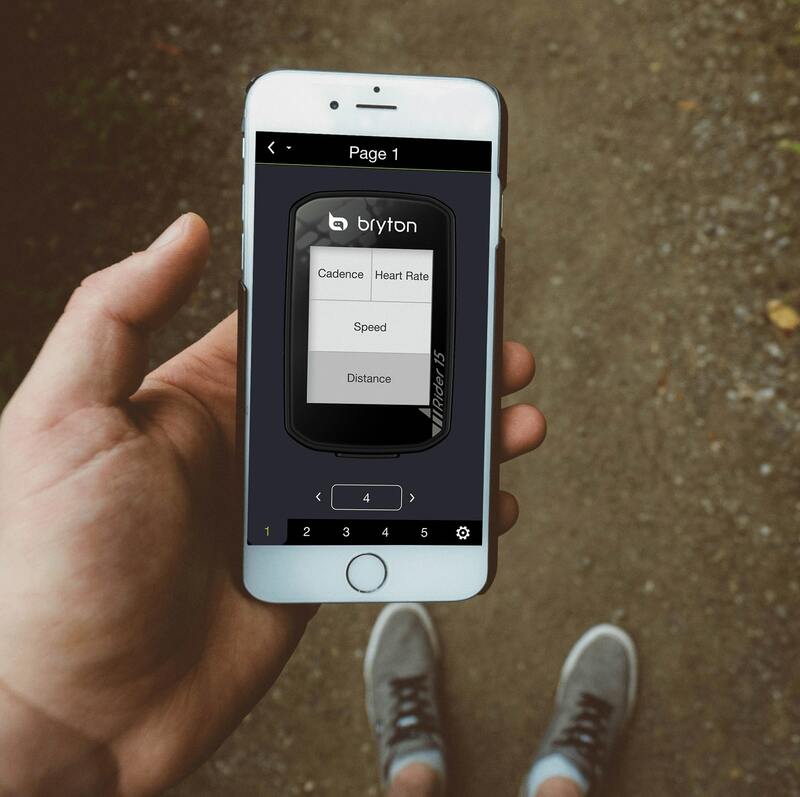 You can customize your data fields/pages based on your training goals using Bryton App via BLE, it’s super easy to use! 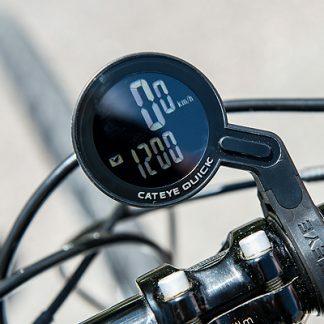 Based on the longitude and latitude of your location, backlight function will be activated before sunset automatically, allowing you to ride wherever and whenever. 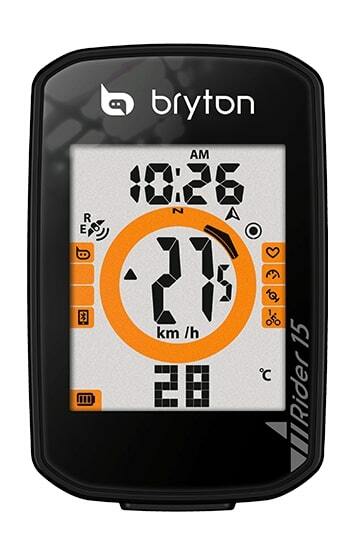 With built-in barometer, Rider 15 displays complete altitude data for your current location, allowing you to observe altitude and temperature difference and make adjustment accordingly. 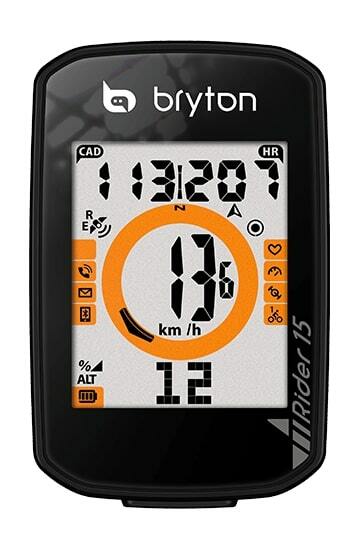 Rider 15 makes it easy for you to calibrate altitude. 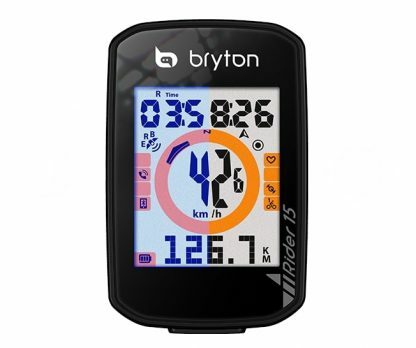 After simple pairing with Bryton App, you can simply calibrate altitude on your phone. 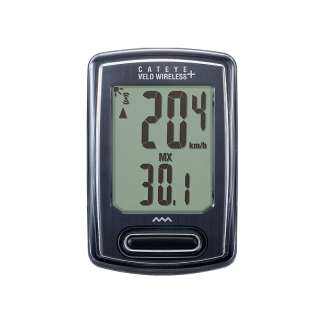 Rider 15 automatically adjusts its data field display when paired BLE sensors are detected. 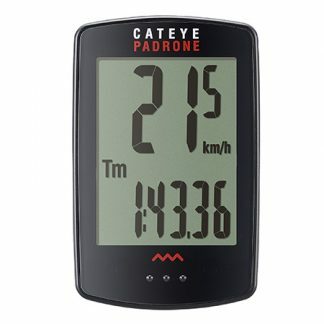 Additionally, when a sensor is running low on battery, its data on the display blinks as a notification reminding you to charge it, keeping you ready for your next workout. No software is needed to convert files. Workout files are automatically saved in FIT format, which can be uploaded to popular training sites. 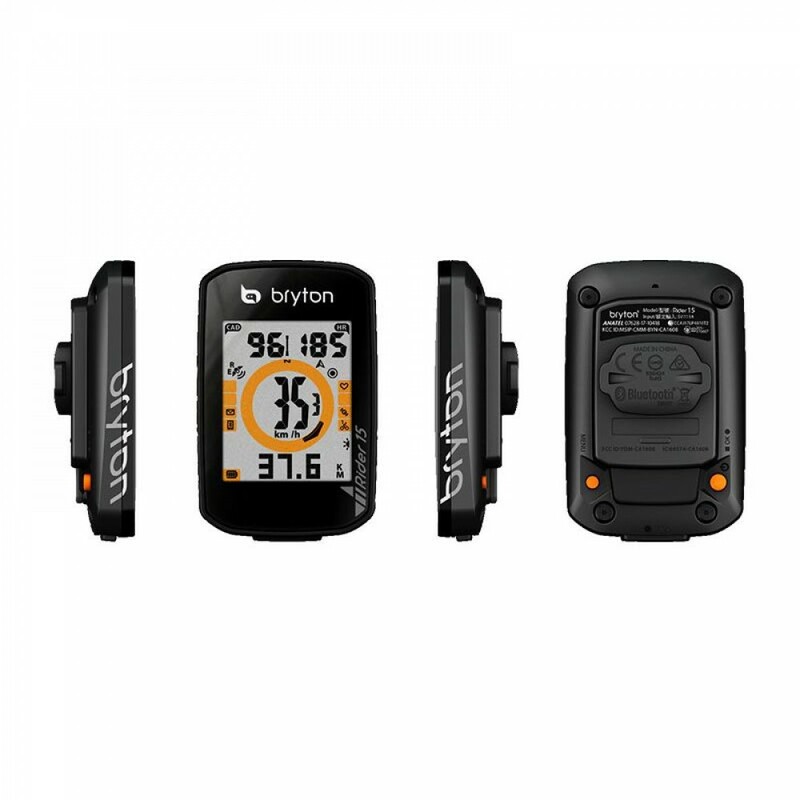 We also make it super easy for you to sync your activities from your Bryton App to Strava/TrainingPeaks/Selfloops automatically by connecting your accounts. – Log history: 30 hours in one sec mode, 120 hours in smart recording mode.